Are you all about bagger bling? The “bling” refers to any unnecessary accumulation of shiny and glimmering metal. In my view it’s an example of too much chrome swag. Some might even think it’s hideous and wholly unnecessary, but as we know there is no accounting for good taste with all the riders out there. We know that straight off the shop floor most Harleys shine more than your average foreign made motorcycle, and for those that like their ride to blind the onlookers, there’s a seriously fat accessory catalogue full of go-fast bits, chrome doo-dads and custom add-on’s. Not to mention all the 3rd party catalogs and online part suppliers. Is it possible to have too much chrome swag? A reference to the bright and flashy which is often associated with folks exoticising voyeruism or wearing Esmeralda-like headscarves, or running psychic healing parlors. I realize that’s a less than positive cliché, and mean no disrespect. The Gypsies are fascinating people with an incredible story. But, creative enhancements and all that chrome is so addictive. Rainy weekends can be spent pouring over the parts book, matching gas tanks with seats and sissy bars, and tossing up whether to splurge on the chrome rocker covers to match the new floor boards or save up for the titanium lifters. For those with both a hunger for lots of shiny things and the means to satiate that need, Harley-Davidson is there for you and the endless fun. They are single-handedly responsible for promoting, propagating, passively approving and ironically being amused by all aspects of the ‘bling’ culture. I suffer from what’s called the chrome cooling effect – most often called “Bling Delete” and has only increased the flat black or black anodized popularity. It used to be done by ‘rattle can’, but now manufactures have combined billet aluminum with black anodized finishes to provide riders the perfect mix of function and aesthetics. There are as many if not more flat-black or deep-cut, black anodized billet accessories as chrome, so if you’re into the less is more glamour, you have lots of choices. 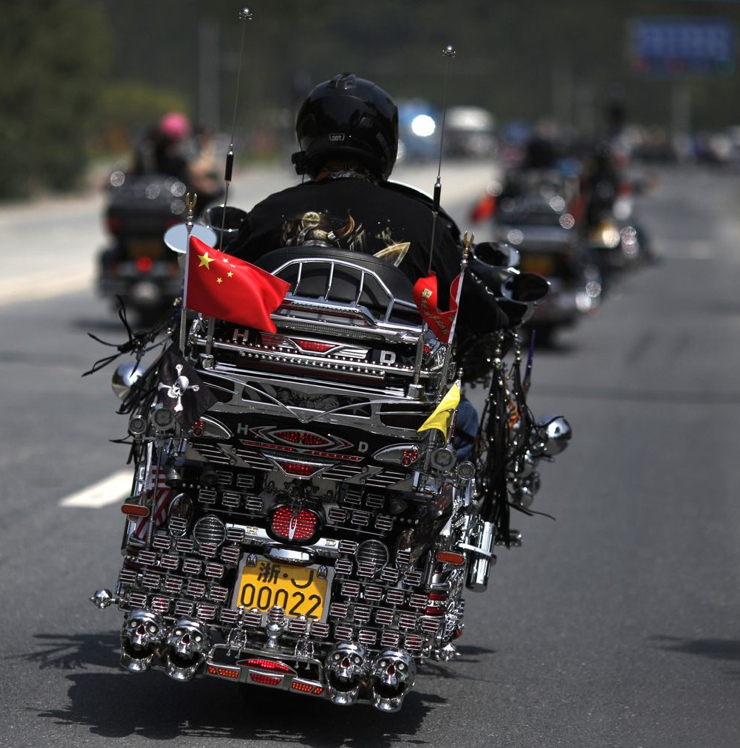 Clearly motorcycle enthusiasts have become “creators”, in which motorcycles are the canvas. Photo courtesy of HOG Asia. Gypsy’ed term courtesy of Hal. Words to live by from Wisconsin’s custom builder Mike Rabideau who designs and builds his own motorcycles at Majik Mike’s Designs. If interested you can see a day in the life video HERE. Custom bike builders are always looking to make their bikes stand out amongst a sea of wild paint and chrome. Majik Mike’s Designs are clean and isn’t it funny how minimalistic designs will stand out in a crowd these days. Matt Binetti created this short documentary. He reached out to me to share the story of his friend and a dedicated artist and his shop. I was happy to do so. Take a few minutes out of your day and enjoy the story of a rising star. Photo courtesy of Matt Binetti and Mike Rabideau. Once upon a time, many years ago when we all lived in little villages you had fame if you were a blacksmith, a singer or the storyteller. You had a defined role and if you did it well you received accolades and everyone in your village knew who you were. Most people had barely been to the next town so the concept of spreading your ideas far and wide didn’t even cross people’s mind. Then came modern transportation and media. Suddenly, you could reach everybody and there was worldwide fame. Speaking of fame. After reading a press release on the Discovery Channel…I just threw up in my mouth a little bit! Yeah, it’s a line from “Dodgeball: A True Underdog Story” but seemed appropriate from my perspective. 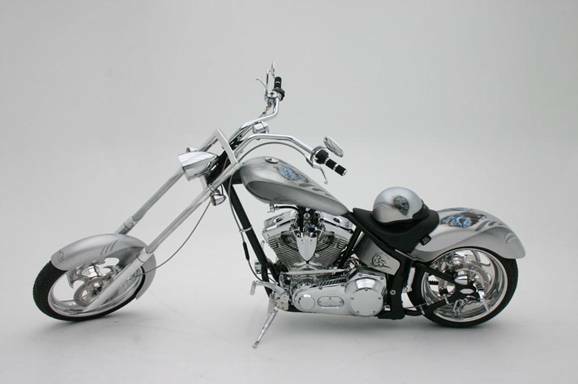 Selling out and letting co-writers/producers deliver what the lowest common denominator TV system wants, as opposed to what you want, will clearly revive the custom chopper business! Can’t they leave well enough alone and just move on already? Maybe they should rename it the “American Horror Story: Tricks and Treats From Formerly Warm Bodies!” Since 2003 Jessie began a slow-and-steady nosedive with his character arcing to new lows that only a Hollywood script for “Desperate Housewives” could love. Combine this with the other two demoralizing builders who get their ‘hate-on’ and we now have what they call that new math: 1+2 = 4! Our shiny enigmatic motorcycle monster friend will turn up not once, but twice on December 5th and 6th. 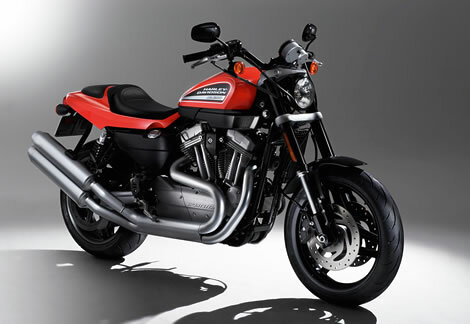 It’s sure to create a mega motorcycle buzz – YAWN! Next up has to be a Jessie James guest appearance on Glee or maybe it’s DWTS. You heard it here first. That’s how I would described American Chopper, the reality television show based on the Teutul family business, Orange County Chopper custom-built motorcycles. Unless you live in a cave you’ve been unable to avoid hearing about Paul Sr. and Paul Jr. revving up their litigators and fighting it out in the courtroom — a shareholder dispute or family feud? If you’ve missed it I’ve previously blog about this father/son feud HERE and HERE. 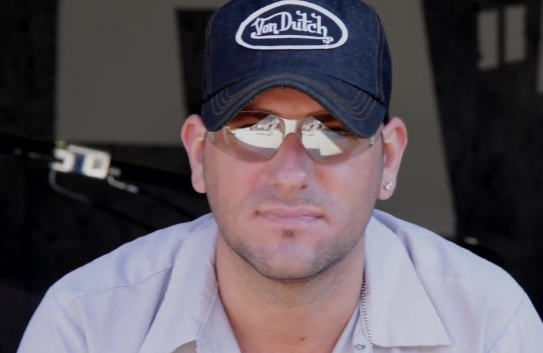 At this point I suspect that Paul Jr. is doing a victory break dance after the decision by the appeals court reversed a lower court’s ruling that would have forced him to sell his 20% interest in Orange County Choppers to his father, at a price to be determined by the court. 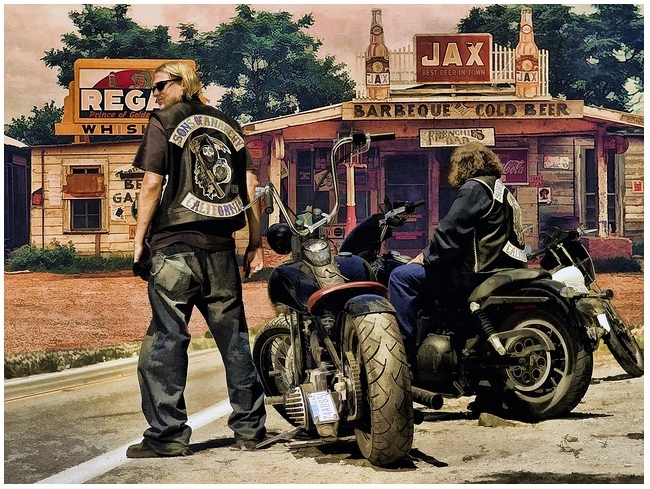 Teutul v. Teutul, 2010 NY Slip Op 09248 (2d Dept Dec. 14, 2010). You may recall that the lower court’s April 2010 ruling enforced Senior’s exercise of a buyout option contained in a January 2009 letter agreement that had temporarily patched up the father-son business relationship, and avoided cancellation of their television deal with Discovery Channel, following Senior’s on-air firing of Junior. The court enforced the option notwithstanding that the buyout price was expressed in terms of “fair market value as determined by a procedure to be agreed to by the parties as soon as practicable. The solution to the parties’ inability to agree on valuation procedure, the court concluded, was for the court itself to step in and determine the fair market value of Junior’s shares. Only a legal student would find the previous two years of this business divorce interesting. I did find it curious that according to Discovery Channel the Jan. 3rd premiere show garnered 2M+ viewers and was the number #1 cable program (excluding sports and movies) during prime time among the male 18-54 demographic. The next new episode of Senior vs. Junior is Jan. 17th where Paul Sr. will unveil the newest completed chopper built for the 35th Anniversary of the Hair Club. Most notable is the brushed metal skull-themed paint which illustrates Hair Club’s signature “magic” where one skull is bald and the other has a full head of hair, flowing like flames. In addition there is a promotional opportunity that I wanted to make you aware of where you can win the Hair Club motorcycle by entering their contest HERE. Thanks to Sam Mazzarelli of Marlo Marketing and Communications for the email with this information and corresponding photos. The Hair Club motorcycle will be unveiled for what is expected to be a large crowd at Washington State University (Pullman, WA) on January 17th. 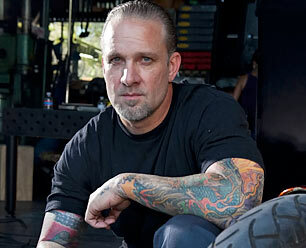 Photos courtesy of American Chopper, OCC and Marlo Marketing. This week they finished up a XR-1200 build. 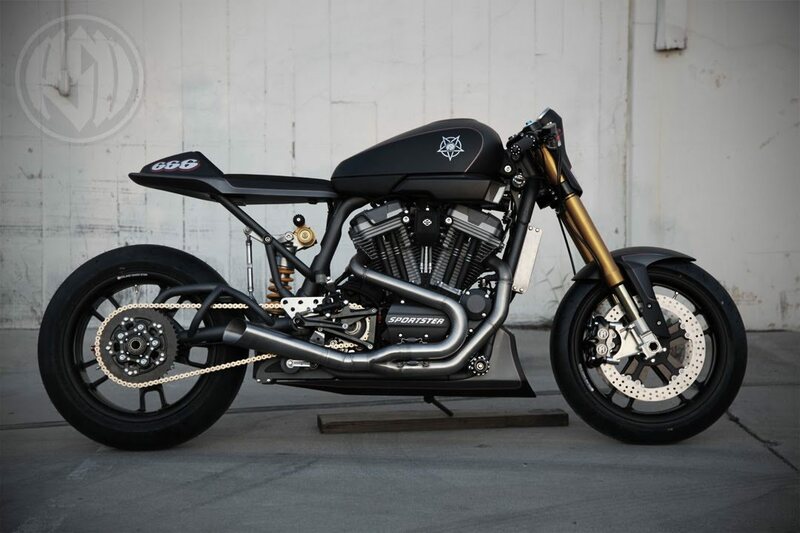 They customized reinvented a stock Harley-Davidson XR-1200 over the course of a 30 day build and clearly created a high-performance work of art. After 10 years on the professional level and multiple track records, including the 1998 AMA 250GP Championship, Roland Sands focused his efforts on the Performance Machines product line as VP of Research and Development. In 2005 he founded Roland Sands Design and has been illustrating to the motorcycle industry what his performance minded customs and aftermarket parts can do for V-Twins, Metrics and Sportbikes. RSD’s mission is to create the best motorcycle products in the industry without regards to the bikes beginning. 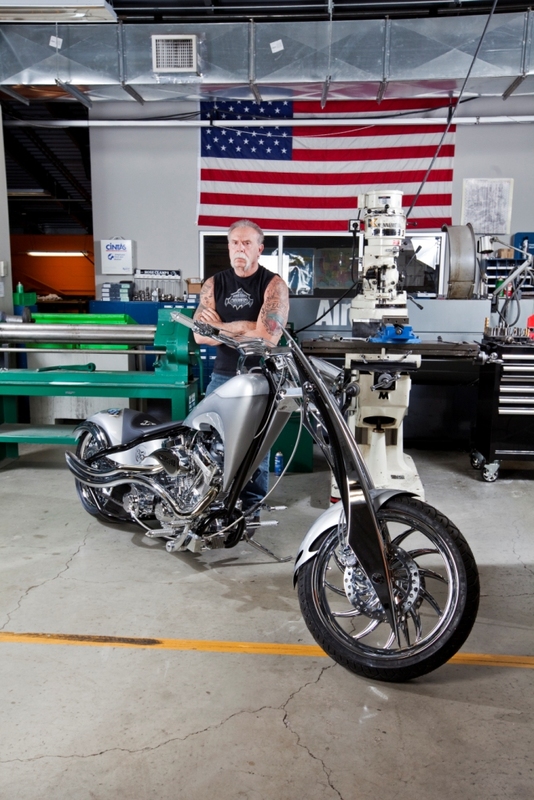 Whether it’s a chopper, sport bike, or sport chopper they build the best for it. They walk the line between custom and performance bikes trying to deliver the best of both worlds. A detailed review of the 30 day build out is available on their blog HERE. Photo courtesy H-D and RSD.